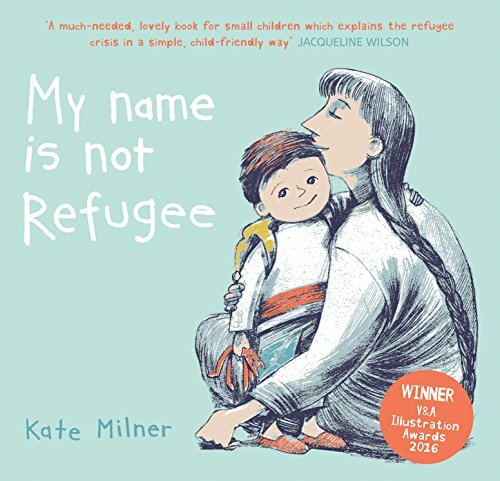 How do you explain the refugee experience to the very young; what it might feel like to leave your home in search of a safe place to live? Here is a book that does just that in a very accessible and meaningful way. From saying goodbye and having to make choices about what to pack to eventually arriving in a safe place and starting to settle in. We find out that at times it may be interesting or exciting with lots of new things to see, but it will also be long and tiring, strange and worrying and sometimes maybe quite boring. The words are those of a mother talking to her child about the journey they have to make. The illustrations reveal the feelings of the young protagonist as we travel with him on his long journey, from lively marching and dancing to relentless and exhausting walking, walking, walking. Designed to share with an adult, there are discussion points on every page encouraging young readers to put themselves in another’s shoes. What would you take? How far can you walk? 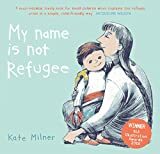 This is a well written and powerfully illustrated picturebook addressing an important topic which will encourage empathy about the plight many children are sadly experiencing in our world today.